When purchasing auto insurance, one of the most important factors to consider is deciding which deductibles provide the best value for your particular situation. Choosing your deductible’s wisely can save you thousands of dollars over your driving career. In this article, we’ll evaluate some important considerations to keep in mind when choosing auto insurance deductibles, but first, it’s important to define what your auto deductibles are and how they affect your insurance program. The deductibles on your California auto insurance will fall into one of two categories. The first is comprehensive coverage, which is sometimes referred to as “other than collision”. While there are many definitions of comprehensive coverage, this deductible is generally the amount you pay out of pocket to have your car fixed if something happens to it that does not involve a collision (an exception to this is striking an animal, which will usually fall under comprehensive). While the most common comprehensive claim usually involves broken glass, other comprehensive claims involve theft, vandalism, wind, flood, fire, or hail damage. Your other auto insurance deductible will be for collision, which is the amount you pay to have your car fixed if you are involved in an at fault accident. Deciding how to choose your deductibles is not always easy or straight forward. Here are a few things to keep in mind when deciding what deductibles make the most sense for your situation. 1. Consider a lower comprehensive deductible. As tempting as it may be to increase your comprehensive deductible by a substantial amount, here are a few reasons a low comprehensive deductible makes sense. The amount you pay for comprehensive insurance is usually less than half as much as your collision deductible (assuming the same deductibles). With this in mind, there generally is very little savings to be realized by increasing this deductible. 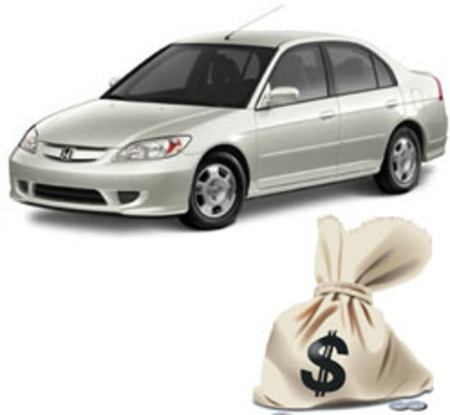 In addition, most car insurance companies will not surcharge your insurance rates for filing comprehensive claims. The combination of low realized savings from higher comprehensive deductibles and few penalties for filing claims makes carrying a lower deductible ($100-$500) a good value in most situations. 2. Consider a higher collision deductible. Collision deductible’s range from as low as $0 to well over $1, 500, with $500 being most common. Increasing your collision deductible to $750, or $1,000 may yield a significant savings in many situations. To evaluate which makes the most sense, subtract the difference in premium from two deductibles you are considering such as $500 and $1,000. Many times this difference can be in the range of $150-$350 per year. Under this scenario, in the event of an at fault accident, you could be out of pocket an additional $500 ($1,000 vs. $500) to fix your car. For incurring this risk, your insurance premium may be reduced by somewhere in the range of $150-$350 per year depending on several factors. A simple analysis reveals that if your driving history dictates you are likely to get in an at fault accident more often than once every 1.5-3.5 years, then a lower deductible may make sense in this example. If you have not been in an at fault auto accident in 3 plus years, then a substantial savings may be had by choosing a higher deductible (assuming of course that your prior claims experience is similar to your future claims experience). In any event, choosing a higher deductible implies retaining more risk and before choosing higher deductibles, you should be financially prepared if the unexpected should occur. 3. Affordability. Choosing higher deductibles on your auto insurance should be considered a luxury for those financially equipped to cover unexpected expenses. If your finances are tight, an unexpected loss with higher deductibles could further squeeze your financial position. It may make sense to carry middle of the road deductibles until you have established an emergency fund. 4. Consider your driving record. When deciding to carry higher collision deductibles, pay careful consideration to your prior claims history. If you find that you are accident prone, carrying a higher collision deductible may cost you more money over the long run. The decision to carry higher collision deductibles usually makes the most sense for individuals with clean driving histories who make a conscious effort of practicing safe driving habits. Nevertheless, a higher collision deductible can make sense for accident prone individuals as well. Do the math and make sure you can afford higher deductibles if you choose that route. 5. Consider your vehicles value. Occasionally I see individuals who want to carry a higher collision deductible ($1,000) on vehicles that are worth very little. Make sure to avoid this situation as it rarely makes sense to carry a $1,000 collision deductible on a car worth only $2,000. By the same token, small deductibles on very expensive sports or luxury cars often provide a reduced value in relation to their higher deductible counterparts. In California, your auto insurance deductibles will often make up as much as 50% of your total insurance premium, so choosing these wisely is a very important decision. If you are having trouble deciding on which option makes the most sense or would like a second opinion, contact your insurance advisor for additional assistance. The helpful staff at Schaedler Insurance can also help you evaluate this decision as well.